Bananas naturally raise and sustain blood sugar levels due to their high carbohydrate content, and they are beneficial for alleviating morning sickness. They are also useful as a hangover cure, mashed up with a bit of honey and made into a milkshake. Eating two bananas before a 90-minute workout will give you enough energy to sustain your body throughout. Bananas contain three natural sugars: sucrose, fructose and glucose. These natural sugars give the controlled boost to blood sugar levels that candy or chocolate do not. Snacking on bananas at work and if you are stressed can help because it regulates blood sugar, thus keeping you alert and regulating your mood. Bananas are particularly high in B vitamins and therefore have many benefits. Vitamin B6 will help PMS sufferers by regulating blood glucose levels, which can affect mood. 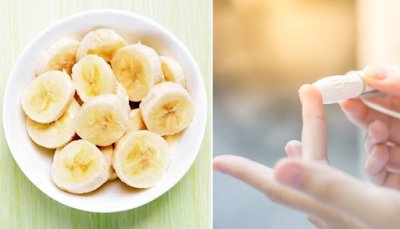 If you are giving up smoking, bananas can help as they contain high levels of Vitamin C, A1, B6, B12 and potassium and magnesium, these properties will assist the body in recovering from nicotine withdrawal. If you are nervous, the B vitamins in this fruit will help to calm you. Bananas contain tryptophan, a type of amino acid that is converted to serotonin, producing a calming effect. Eating bananas on a regular basis can help people who suffer from depression. Bananas can also help people with Seasonal Affective Disorder (SAD). Potassium can help brain power and the George Mateljan Foundation states that if you are feeling fatigued, irritable or confused, this is your body's way of saying that it needs potassium. Bananas are high in potassium and could therefore help alertness and concentration. Potassium can also reduce the risk of high blood pressure and stroke. Bananas are high in iron and can assist in cases of anemia.